Welcome to Powers Electric Company Inc.
At Powers Electric Company, we are an experienced and highly-recommended contractor serving the electrical needs of commercial, industrial, and institutional properties, from new wiring to electrical maintenance and troubleshooting. Since 1984, we’ve been providing the very best service to New Jersey and Eastern Pennsylvania. We’re specialists in the service and installation of electrical systems and have a comprehensive knowledge of new technologies, as well as systems that have been installed for years. In the event that your equipment needs servicing, you have peace of mind knowing we offer emergency service and free estimates. Ask about our warranties and maintenance programs for apartments, high rise buildings, office buildings, and a variety of retail establishments, including contracts for annual inspections. 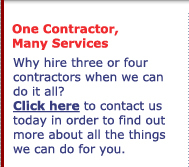 We can build or install any type of electrical system required. We are committed to giving you the most reliable electrical system for your needs. We are fully licensed, assuring you that your electrical project will be installed to exacting industry and code standards.